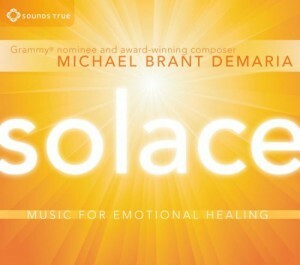 Musical Journey of the Soul of Micheal Brant DeMaria! A musical journey begins with the first step, that of self inflection. 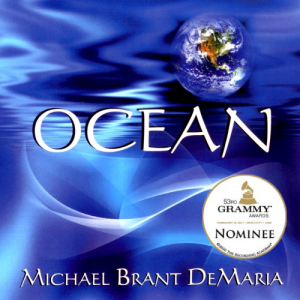 As many of you know, I have been a fan and an advocate of the music of instrumental New Age music composer and performer Michael Brant DeMaria for some time now. What has become apparent to me is that Michael is man on a spiritual quest, a musical journey of the soul, if you will. This journey is documented by and through his music. A Man on a Musical Journey of the Soul! Today, we begin another musical journey of sorts via a review of the music as published within the discography of Michael Brant DeMaria. My original introduction to his music came about during the making of Michael’s initial CD trilogy which includes “The River”, “Ocean” and “Siyotanka”. These three CD’s introduced to the world a unique composer/performer with a profound understanding of music, tone and continuity, all setting the stage for his continued music writing which now spans a period of 10 years. The CD trilogy includes two consecutive Grammy nominations which, in and of itself, is quite the accomplishment. Michael’s unwavering commitment to music, healing and personal growth underscore the fact that these initial musical offerings have provided his listeners an undeniable sonic environment for deep thinking, relaxation and meditation. One never knows where creativity begins in the mind of man, nor can one fathom its source. What one can do is to understand that it is the composer who reaches into the depths of his or her heart and soul to discover new music that lies within waiting to come forth. It is in that soul-searching musical journey that music takes flight and finds its way into our physical world. Worldly recognition was gained from these works when both “Ocean” and “Siyotanka” topped the ZMR1 charts and Michael became a witness to the effects his music had on others from their reactions and feedback. 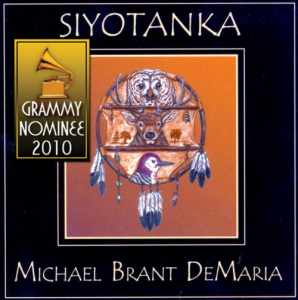 “Ocean” and “Siyotanka” had reached a new level of success for Michael when they were nominated for a Grammy Award2 solidifying DeMaria’s place as a reputable composer and performer of New Age, ambient music. These accolades further fueled his drive to continue to compose, perform and to remain a seeker of his own inner truth. Not resting on his laurels, Michael continues to compose extending his musical journey and to search within himself for what all serious composers seek, the “music from the spheres”. This is the source or fount of very personal, heart-felt and soul-based music. When I received an advance copy of “Gaia” I was pleased to hear that considerable advances were made within Michael’s ability to compose as well as to produce music that was significant and deserving of a broader base of recognition. This was achieved when “Gaia”, his third new age CD, became a ZMR chart topper and it was to become his third Grammy nominated album in a row. This work demonstrated a new leg on his musical journey of self-discovery through music and advances he had made in his skill and artistry as a composer, by employing the song-cycle format, tone poems and sound prayers. 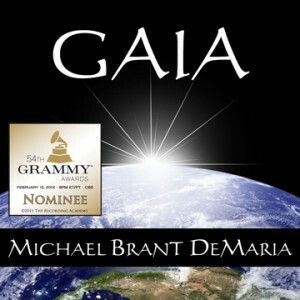 Topping the use of these new composition styles and compelling additions to his writings, what made “Gaia” so incredible was Michael’s way of crafting a unique array of individual sonic variations while maintaining continuity throughout the entire album, a vast expansion in his skill as a composer and which now with “Gaia” extended his creations to include the energy of Mother Earth! 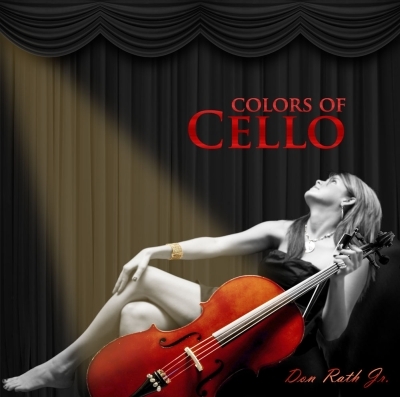 Not that this energy was absent from his previous work, only that in this CD it is in the forefront. They say that beauty lies in the eye of the beholder and that inner beauty is discovered when one seeks and finds the true “self”. A composer and artist grows personally as they connect more and more to their inner self and with the Universe at large, becoming one with both, if you will. It is in this effort that manifesting the beauty of this duality that continuity is demonstrated. It shows in outwardly expressed works as having consistency and continuity over time. In Michael’s case, his efforts to grow personally and professionally have provided a stronger foundation for attaining this “oneness”. I think at some point along his musical journey, Michael must have realized or at least became aware of, the fact that his music could be written in such a way as to cause others to search deep within their self, so that they too could find their own inner beauty. Otherwise, maybe he simply became aware of how his music impacted others via several forms of communication. 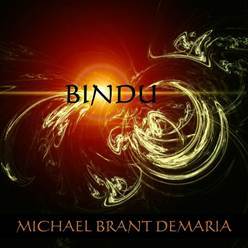 Either way, “Bindu” exemplifies this idea providing a sonic experience supportive of linking the inner and outer self and discovering a pathway to find congruity between them. “Bindu” became Michael’s fourth consecutive ZMR chart topper and award winner. Creative harmonic expressions, interweaving sounds from various instruments and sensuous soundscapes suggesting that a maturing and an enlightened creator of music was being more fully exposed to the world through his music. “The Way Beyond” brings a worldly and sophisticated sound to the listener. The esoteric nature of “Journey Within” takes one deep into the inner world of self-inflection, moving the soul gracefully, gently to the breath of life in “Anahata”. The intricacies of harmony are beautifully expressed in the soul searching “Journey to Nowhere”. The miracle of creation, the start of identity, is metaphorically demonstrated in the fascinating way Michael utilizes various instruments, establishing “Bindu” as clearly the intent behind the development of this album, birth and rebirth, the beginning. Quite fitting, the album concludes with “Turiya” an expansive composition and combination of the other pieces in this work leading the listener further inward to explore the wondrous depths of the very personal nature of the inner self. The word healing and its meaning on a spiritual level appear as a theme throughout the life of Michael DeMaria. This especially comes through when reviewing his music as well as his work as a psychologist helping and guiding those seeking wholeness and oneness. Dr. DeMaria uses music in his practice adding another dimension to his musical journey. In this vein Michael has produced two additional CD’s supporting meditation and healing, both are available through Sounds True3, a multimedia publishing company out of Louisville, Colorado. 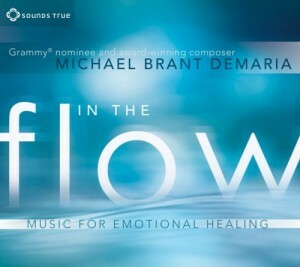 “In the Flow” and “Solace” extend Michael’s output of music designed as additions to his efforts of using music as a foundation and potential source for assisting others in healing on an emotional level. It would appear that stopping is not in Michael’s vocabulary. For all of us this is a good thing. What rings true is the continuity of his work, ever flowing, soothing and quieting the mind through deep meditation. Michael has found a way through his own soul’s musical journey of extracting the knowledge of the power of healing and applying it to his music. Truth be told, whether for his own benefit or for the benefit of others, his outreach of sound, rhythm, melody and harmony provide a rich and expansive body of music for all to enjoy. Micheal’s musical journey involved the creation of a business designed for marketing, sales and promotion of his discography. He called this business “Ontos” and opened a website to demonstrate not only his music but also his books and to associate his Psychologist’s practice clearly creating a website experience worthy of your time. The outward manifestation of DeMaria’s inner world shows up in all his efforts with a main purpose of helping others to seek within to find the “source” of each person’s heart and creativity. Please visit his website by clicking the Ontos logo below. 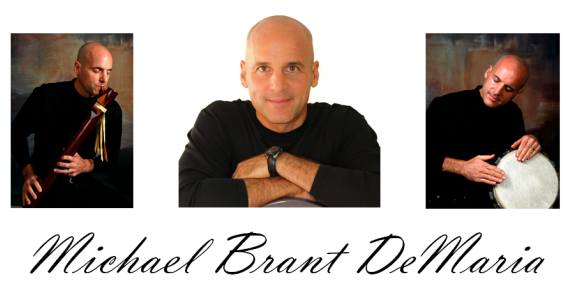 What does the future hold along this musical journey for Michael Brant DeMaria? This overall review of Micheal’s discography, his seven CD’s, and their respective awards makes one think that the skies the limit. Below is a listing of some the significant honors DeMaria has received over the past few years. As of the writing of this article Michael is waiting to hear if “Bindu” is a nominee for a Grammy Award for this year’s (2012) Grammy season. Could it possibly get any better than this? The true nature of the spirit of an artist/composer is found in the music written by them. Is it no wonder than that Michael Brant DeMaria and his musical journey should culminate into what is quite possibly his crowning achievement to date? To begin, the production quality of “The Maiden of Stonehenge” is stunning, almost magical! The esoteric nature of Michael’s music is brought out fully with the flawless capturing of his performances. It is from high quality recording, excellent mixing and superb mastering that this album comes to life to its fullest degree! The complete works on this CD were mastered at Lucky K Studios4, which is owned and operated by the well-known and highly respected Lucky Kelson, producer/engineer and musician. Great music tells a story leading the listener to a different place, a place of understanding something previously unknown. In the case of “The Maiden of Stonehenge”, the music chronicles the uncertain and mystical odyssey of a disfigured young girl named Teagan, coming of age in ancient Britain. Teagan journeys through mysterious and mythical lands as she steps along and through her journey to self-discovery. That journey leads her to a place known as the “Circle of Stones” where she discovers her life’s purpose, fulfilling her soul-seeking journey. 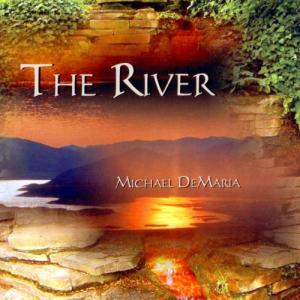 DeMaria’s music underscores this journey brilliantly and in doing so fulfills the quest of seeking the deep and meaningful answers to the questions of the unknown, those questions answerable only to those who seek, to those who dare to brave and to take the steps of that journey, especially a musical journey, deep into the self towards the great unknown. The variety of musical instruments used in “The Maiden of Stonehenge” is beautifully enhanced by the wondrous and mystical voice of 17 year old Maggie Crane, in both “Chantress” and “Stonehenge”. She brings forward the ancient art of soul singing with such depth and with such sincerity that it leaves one almost breathless. The haunting soundscapes in “Trowie Mor”, the world beats in “Web of the Wyrd”, the arrival of sonic balance brought forth in “Natura”, the gentle and nurturing use of the piano in “Healing Heart” all culminate and fully support the masterfully written spirit song “Stonehenge” making this CD Michael’s crowning achievement and quite possibly, with “Stonehenge”, his greatest masterpiece to date. 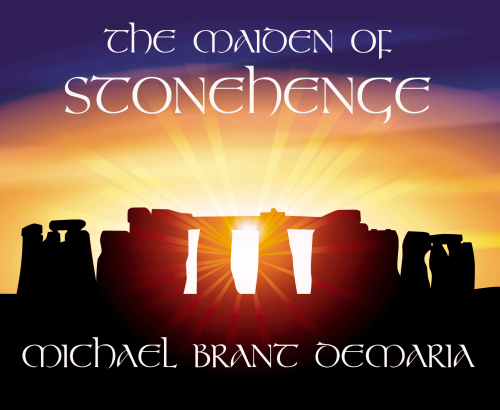 Clearly “The Maiden of Stonehenge” demonstrates Michael Brant DeMaria at his best along his musical journey. In terms of creativity, artistry and production he has arrived as a well-seasoned composer, performer and recording artist, deserving of broad-based recognition for his work. Without hesitation, I highly recommend “The Maiden of Stonehenge” and I give it my highest rating of five stars. 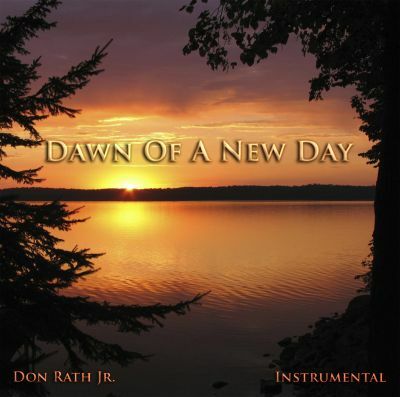 Don Rath Jr is the Founder and President of StringTunes, a music publishing company in Rockford Illinois. He is also the resident composer at StringTunes, an artist, producer and an author of hundreds of multimedia articles on the subjects of music theory and composition. 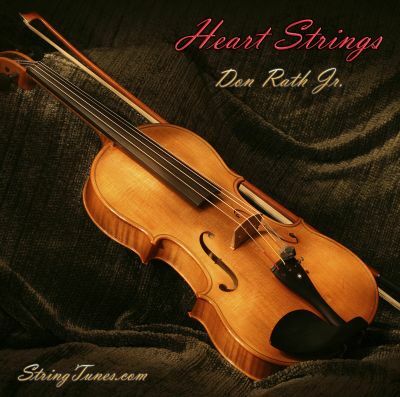 Mr. Rath can be reached via e-mail at composer@stringtunes.com or visit his website and blog at http://donrathjr.com.